Why do things by halves? 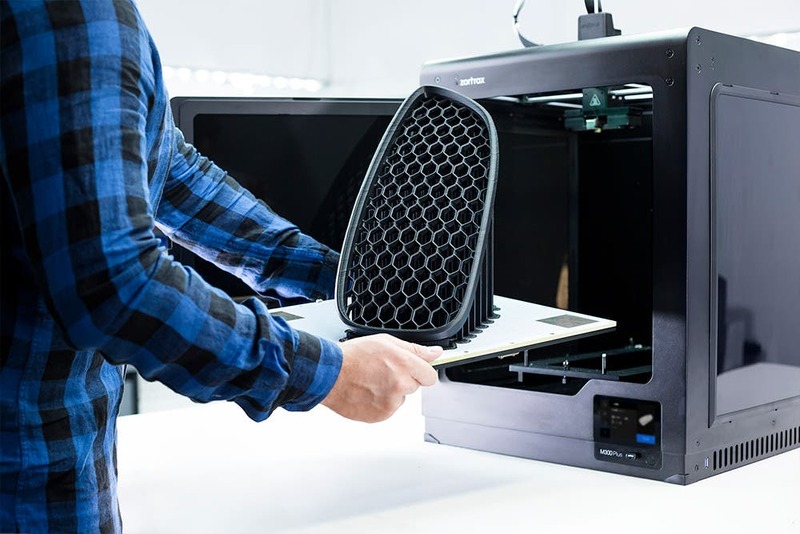 The Zortrax M300 Plus lets you print large models in one go with its 300 x 300 x 300 mm build volume. Eliminate post-processing and snap-fitting parts together - that’s for smaller 3D printers. The M300 Plus gives you the build volume you need to fabricate large models without any seams, seamlessly. A redesigned extruder and a new nozzle allows you to 3D print with flex-type materials for the first time, in addition to Z-ULTRAT, Z-PETG, Z-GLASS, Z-HIPS, Z-ASA Pro, Z-PLA Pro and Z-ESD. This 3D printer also has an open filament system, giving you flexibility to use third party materials and avoid vendor lock-in altogether. 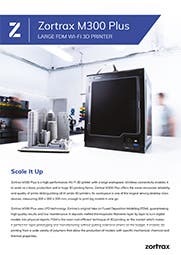 With its industrial-grade mechatronics and M series architecture, the M300 Plus brings the most reliable, most accurate 3D printing experience to your desktop. With material end detection, automatic platform levelling, Wi-Fi and Ethernet connectivity and a touchscreen interface, the Zortrax M300 Plus is a serial box ticker. Speaking of boxes, this 3D printer’s ready to go right out of it after a short setup process. No assembly’s needed because everything’s pre-built. All you need to do is configure the software, step-by-step, and you’re good to go. It’s that simple. You can select available options and preview 3D models directly on the built-in touchscreen, and automatic firmware updates over Wi-Fi mean you’ll always have the latest, best software running on your M300 Plus. 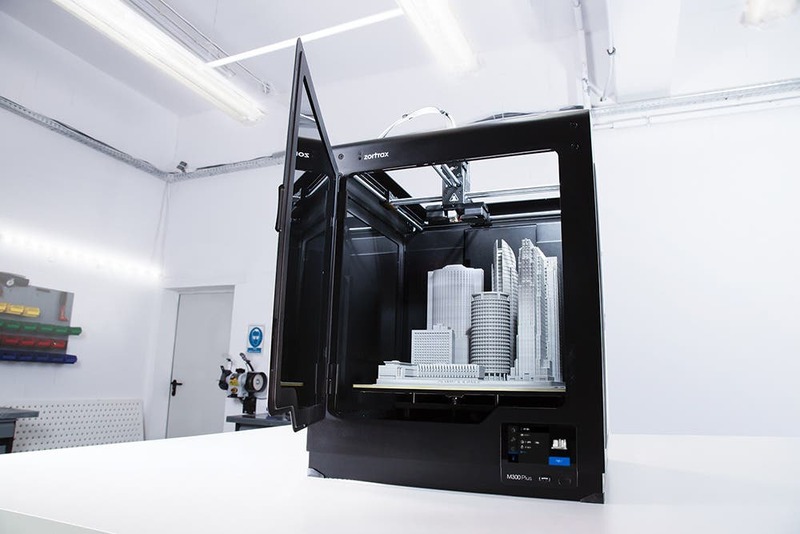 This is all about making your 3D printing experience as easy and hassle-free as possible. All you have to do is press print. The Zortrax M300 Plus is a production tool capable of accommodating multiple models in its workspace. 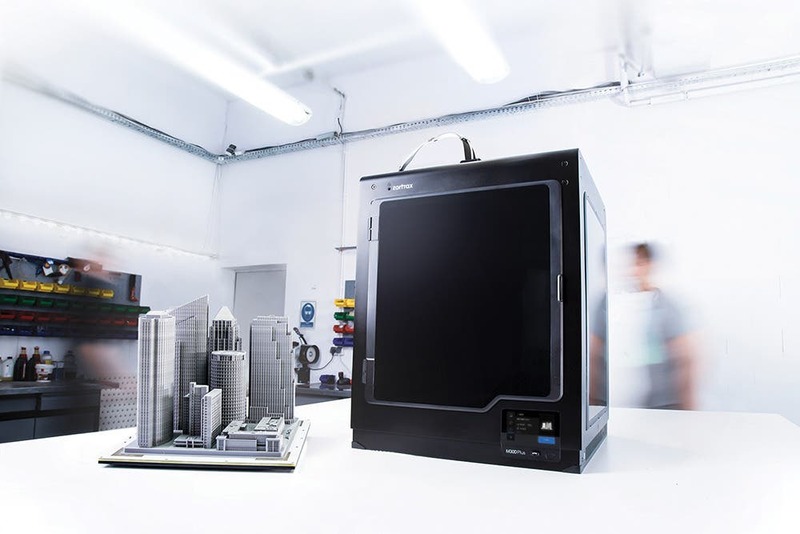 If you need a large-format 3D printer, look no further. Please note: This is a pallet delivery and can take 1-3 days to be delivered.